The U.S. government operates over 200 immigration detention facilities across the country. These facilities detain over 30,000 people, every day, with some centers dedicated specifically to detaining children and their parents. Families, mostly mothers and their children, including infants and toddlers, are locked-up in immigration detention centers, often in poor conditions, far away from legal and social services and without knowing when they will be released. In 2009, the U.S. had stopped using large-scale family detention, closing the family detention center in Hutto, Texas, and using only the small 95-bed Berks facility in Pennsylvania. But, in the summer of 2014, the U.S. returned to the harmful practice of detaining children and families, as part of a misguided response to the increased arrival of children from Central America who were fleeing violence and poverty in their home countries. Authorities detained families arriving at the southern border, even though most were seeking safety and protection and would be filing asylum claims to eventually be able to remain in the U.S. There are currently three family detention facilities in the United States- two located in South Texas (in Karnes City and Dilley) and one in Pennsylvania (in Berks county). Combined, these facilities have over 3,000 beds used to lock-up mothers and their children, with government plans for expansion. View illustrations based on letters written by detained women and children at family detention center in Karnes, Texas. “Visions from the Inside” are visual art interpretations that highlight the realities that migrants are experiencing inside of detention facilities, what led them to migrate away from their home countries, and the resiliency of the human spirit. In February 2015, a Federal Court rejected the U.S. government’s argument that detention was necessary in order to send a message to others who might consider migrating. The Court made clear that families could not be kept locked-up under the guise of a “national security threat” that deterrence should never be considered as a factor to deprive someone of their freedom. The U.S. government is also legally mandated to place families with children in the least restrictive setting possible, in accordance with the 1997 settlement in Flores v. Reno. Family detention violates this settlement and in August 2015, the U.S. District Court ordered the government to release children from family detention centers by October 23, 2015. 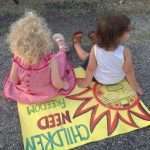 Furthermore, in January 2015, licensing of the family detention center in Pennsylvania was revoked and judges have blocked State agencies from licensing the family detention centers in Texas as childcare facilities. 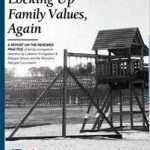 Yet, the U.S. government continues to detain mothers and children. Because Mexico shares a border with the U.S., Mexican children are treated differently than children from other countries and are placed in a fast-track detention and removal system. Unlike other children, Mexican children are not immediately transferred to the Office of Refugee Resettlement to be screened for protection needs. Instead, they are locked-up, often in freezing cells, until a Border Patrol agent decides whether or not the child is at risk of persecution or trafficking. If Mexican children cannot prove to the Border Patrol agent that their lives are at risk, they are sent back to Mexico, without a chance to tell their story. 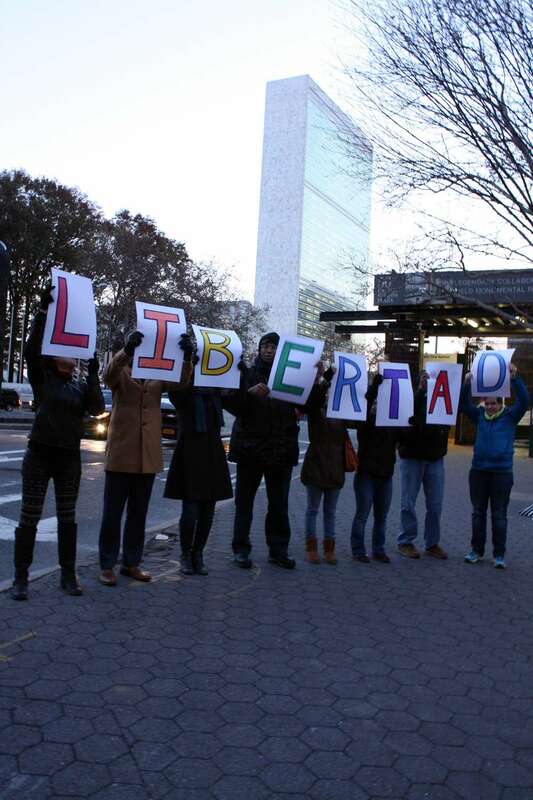 Children are often alone in this process, receiving no help from the Mexican consulate or legal advisors, and sometimes signing voluntary return documents that they do not completely understand or out of desperation to get out of detention. An estimated 95.5% of Mexican children arriving alone in the country are returned without ever having the opportunity to see an immigration judge. Thus, children end up in the same situations of violence in Mexico from which they were fleeing, and are often forced to migrate once again. There is no humane way to detain children and families. Instead, the US must work with other governments to develop regional solutions. The Global Detention Project US Detention Profile provides a detailed overview of the world’s larges immigration detention system, including laws, policies, practices and detention infrastructure. 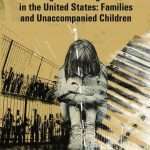 This report from the Inter-American Commission on Human Rights addresses the situation of migrant and refugee families and unaccompanied children arriving to the southern border of the United States of America and offers recommendations geared towards assisting the United States in strengthening its efforts to protect and guarantee the rights of the diverse group of persons in these mixed migratory movements. 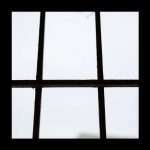 Mothers from 25 detained families, including 10 who had been locked up for 8 to 10 months, described to Human Rights Watch their family’s trauma, depression, and suicidal thougths. This documentary chronicles the return of immigrant family detention in the United States. The Texas-made film follows the US government’s response to mothers and children coming to the US seeking asylum and locked up in new private prisons in remote and isolated areas of the Southwest. 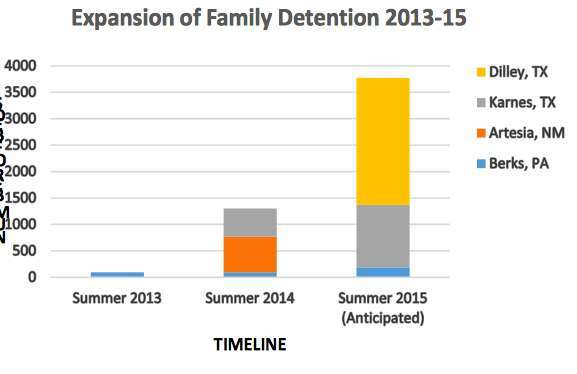 The infographic highlights the key facts about family detention. The report highlights ICE’s failure to meet basic child welfare guidelines, a de facto mandatory detention policy that prevents release of women and children and a truly broken asylum process. Immigration is rarely thought of as a women’s issue, but three-quarters of immigrants to the United States are women and children, and since July 2014, the US government has held tens of thousands of women and children seeking refuge in detention centers. This report provides context, profiles of women impacted by current policies, and concrete recommendations for immigration policy that treats women fairly and keeps families together. In the summer of 2014, reports surfaced of thousands of Central American families and children fleeing to the U.S.-Mexico border to request sanctuary from violence and poverty at home. The crisis was seized upon by politicians and pundits alike, sparking protests against the families as well as efforts to provide relief. 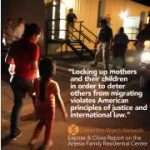 In the summer of 2014, with an increase in the number of mothers and children fleeing violence and persecution in Central America, the Obama Administration returned to the widely discredited and costly practice of family detention. In this report, Lutheran Immigration and Refugee Service (LIRS) and the Women’s Refugee Commission (WRC), have collaborated to show the harm family detention causes and outline sensible alternatives. 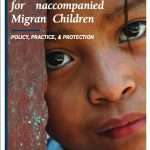 This report by Lutheran Immigration and Refugee Service (LIRS) offers a range of policy and practice recommendations for the care and protection of unaccompanied children, informed by a series of three “Roundtable” meetings convened by LIRS in 2014 to consider current practice and ideal practice with unaccompanied children. This study highlights immigration detention as one of the most concerning child rights violations in the region. 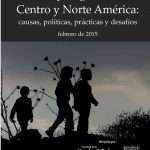 It analyzes the conditions for children and adolescents in Central and North America who are affected by migration throughout every stage of the process, including in their countries of origin, during transit, in destination countries, and following repatriation. 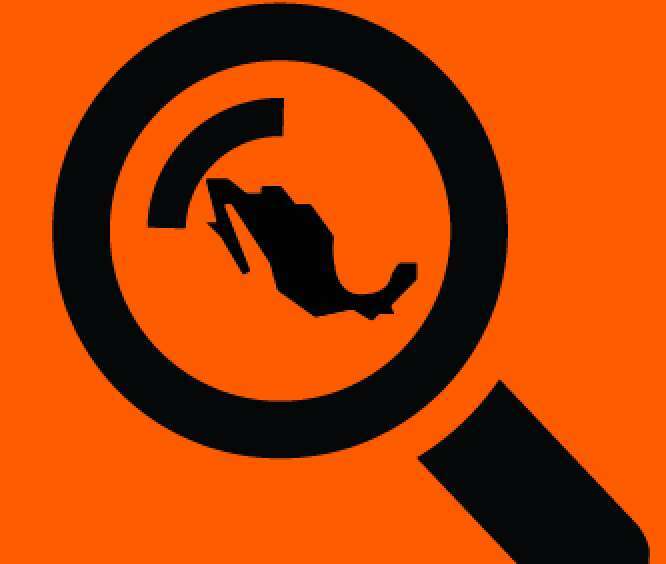 Investigative report by the Washington Office on Latin American explains the problems with US treatment of Mexican children. Children from countries that share a border with the U.S. (Mexico and Canada) are fast-tracked through the removal system and rarely see an immigration judge. Despite changes to U.S. policy, at the US-Mexico border the “revolving door” continues to be the practice. U.S. attention to unaccompanied children has focused on children from Central America and elsewhere, when the vast majority of unaccompanied children crossing U.S. borders are Mexican, leaving many of these children vulnerable to trafficking and other forms of exploitation, including by criminal gangs and drug cartels.